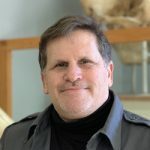 Dr. Gottfried's current research focus revolves around vertebrate evolution in the Southern Hemisphere, particularly the evolution and spread of vertebrates across the ancient supercontinent of Gondwana. This is based on field research, including collecting and studying Cretaceous-age fossils from Madagascar, and most recently (since 2002) on an initiative to add to the very poorly known Cretaceous record of Africa by exploring for fossils from a remote and previously ignored region of Tanzania. Tanzanian efforts have resulted in the most complete fossil mammal yet recovered from the Cretaceous of Africa, and the first carefully documented record of Cretaceous dinosaur eggshell from the continent. Other projects include ongoing research into the evolutionary history of Great White Sharks and their fossil relatives, and studies on fossil fishes and sharks from New Zealand in the context of the establishment of modern oceanic circulation patterns in southern oceans. Whitenack, L.B. and M.D. Gottfried. 2010. A morphometric approach for addressing tooth-based species delimitation in fossil Mako sharks. Journal of Vertebrate Paleontology 30:17-25. Gottfried, M.D., N.J. Stevens, E.M. Roberts, P.M. O'Connor, and R. Chami. 2009. A new Cretaceous lungfish from the Rukwa Rift Basin, Tanzania. African Natural History 5:31-36. Stevens, N.J., M.D. Gottfried, E.M. Roberts, S. Kapilima, S. Ngasala, and P.M. O'Connor. 2008. Paleontological exploration in Africa: a view from the Rift Valley. pp. 159-183 In: A Search for Origins (J.G. Fleagle and C.C. Gilberts, eds.). Springer Science, New York. Gottfried, M.D., R.E. Fordyce, and S. Rust. 2006. "Megalampris keyesi, a giant moonfish (Teleosteim Lampridiformes) from the Late Oligocene of New Zealand," Journal of Vertebrate Paleontology 26(3):544-551. Stevens, N., P. O’Connor, M.D. Gottfried, N.J. Stevens, E.M. Roberts, and S. Ngasala. 2006. "Metaphiomis (Rodentia), from the Paleogene of SW Tanzania," Journal of Paleontology 80(2): 407-410. Gottfried, M.D., Rabarison, J.A., and L.L. Randriamiarimanana. 2001. Late Cretaceous elasmobranchs from the Mahajanga Basin, Madagascar. Cretaceous Research 22:491-496. O'Connor, P.M., M.D. Gottfried, N.J. Stevens, E.M. Roberts, S. Ngasala, S. Kapilima, and R. Chami. 2006. "A new vertebrate fauna from the Cretaceous Red Sandstone Group, Rukwa Rift Basin, southwestern Tanzania," Journal of African Earth Sciences 44:277-288. Krause, D.K., M.D. Gottfried, P. O'Connor, and E. Roberts. 2003. A Cretaceous mammal from Africa. Acta Palaeontologica Polonica 48(3):321-330. Gottfried, M.D. and R.E. Fordyce. 2001. An associated specimen of Carcharodon angustidens (Chondrichthyes, Lamnidae) from the Late Oligocene of New Zealand, with comments on lamnid interrelationships. Journal of Vertebrate Paleontology 21(4):730-739.